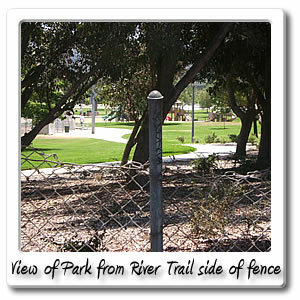 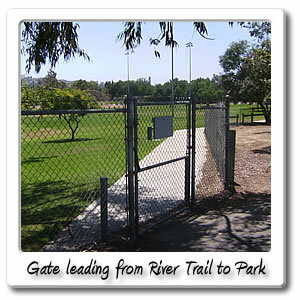 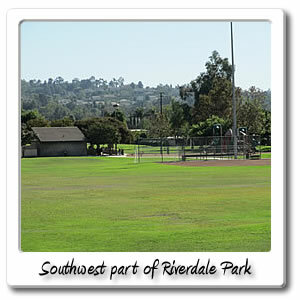 Welcome to Riverdale Park on the Santa Ana River bicycle trail. 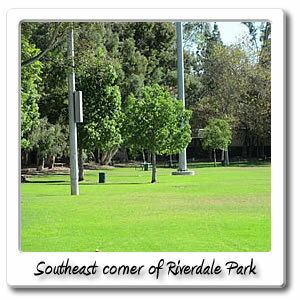 Half way through the 18 and 19 mile markers, you'll find 8.5 acre Riverdale Park, which is located at 4545 East Riverdale Avenue, in the City of Anaheim. 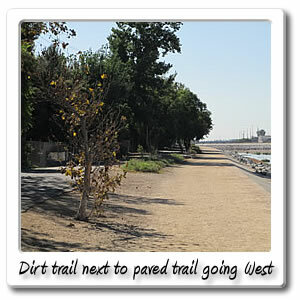 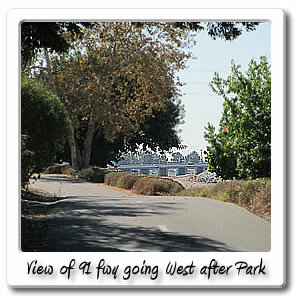 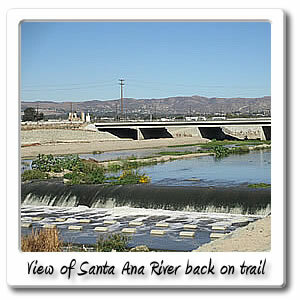 When you reach this point you're 18.5 miles, 1 hour and 33 minutes from the beach on the Santa Ana River Trail. 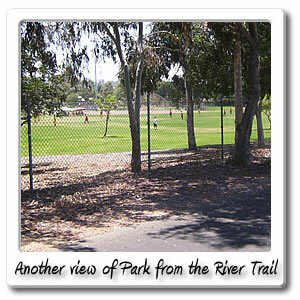 You are now 10.2 miles and 53 minutes from Green River Road and the end of the Orange County section of the Santa Ana River Trail. 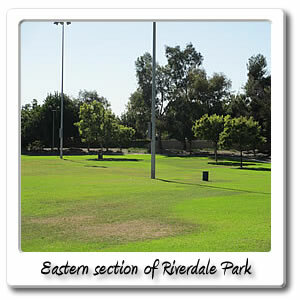 Riverdale Park has a softball field, bbqs, football and soccer area, water fountain, restrooms, playground, and a basketball court. 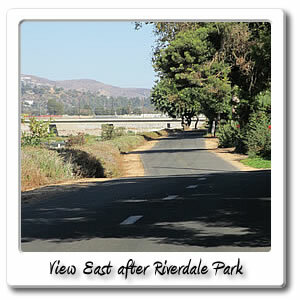 The next entry point is Lakeview Avenue, about .2 miles and 42 seconds from Riverdale Park.